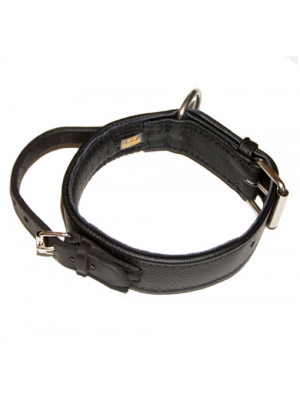 This highly durable collar is made from 100% leather hide and is available in three adjustable sizes. 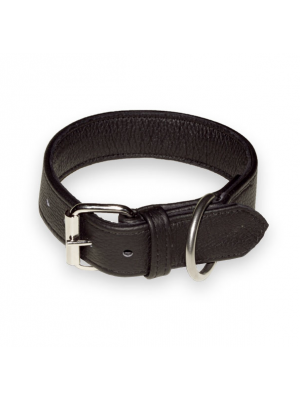 This 100% leather dog collar is made from genuine cow hide and is studded with tough fixed rivets, making the design study and long lasting. Leather is a popular material choice for dog owners and trainers due to it's endurance in all weather conditions, meaning it doesn't misshapen or easily weaken. It is also comfortable dogs to wear over long periods. 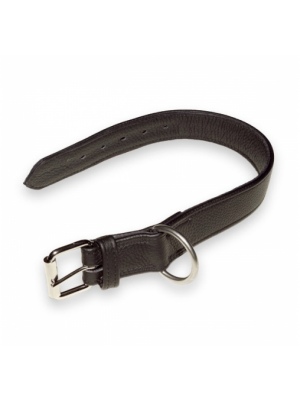 We also have a range of leather dog leads. All of Julius K9's dog collars are highly durable and are trusted by professional trainers and owners alike.